Identify load cell movement restriction by assembly Possible to use load cell of different cheraterstics/brand/capacities in the same platform Quickly and very accurately and digitally removes corner error by placing the vehicle at 8 (in case of 8 load cells system) different locations on the platform. Zero to zero weighment system/cycle ensures that the same vehicle does not get weighed twice against two different transactions without moving out of the platform. 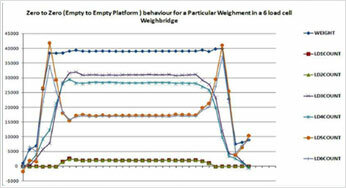 In others words,subsequent weighment is not entertained by the system unless platform becomes zero.